Twitter Amplify program is teaming up with Jio Filmfare Awards in India to enhance the presence of the entertainment industry on the microblogging website in India. It is a one of its kind content sponsorship package in India. Through Twitter’s Blue Room, the company will broadcast curated live content, an hour before the Jio Filmfare Awards go live on television at 6:30pm, 18th February, 2017, taking the event to audiences across the world through the power of social media using Twitter Amplify. The special broadcast will include a Live show from the #BlueRoom on Twitter, featuring Karan Johar and Filmfare, Assistant Editor, Jitesh Pillaai and will be hosted by comedian Abish Mathew. Giving fans an exclusive sneak peak into one of the biggest nights in Bollywood, it will show Karan Johar and Jitesh Pillaai reveal inside scoops and discuss trivia from the Filmfare awards this year. It will also pit Karan and Jitesh against each other for a Rapid Fire round talking about movies and many more topics. Announcing streaming of a special show on @filmfare w/ @karanjohar & @jiteshpillaai, hosted by @abishmathew LIVE from #BlueRoom! Pre roll ads from Jio will accompany all behind the scenes sneak peaks from the Red Carpet, celebrity reactions and nominations; the Amplify deal begins with the Red Carpet episode and will run towards the final broadcast of the awards on television on the weekend. 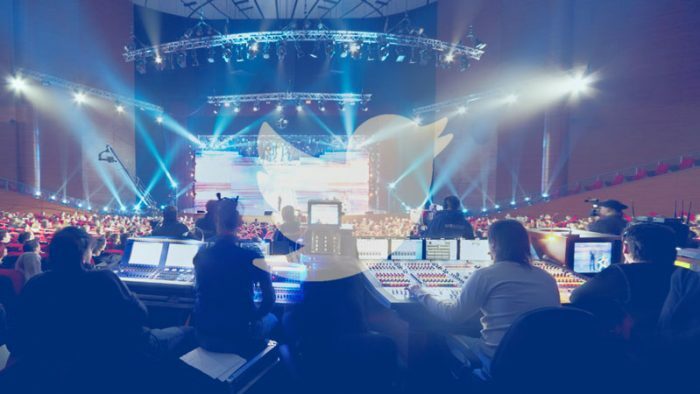 Twitter’s Amplify program brings all the excitement of television to social media, enabling brands and media companies to reach out far beyond the traditional boundaries of audiences. Fans can indulge in conversations with like minded people, and relive the moments from television on social media. “Filmfare is always looking for innovative ways to bring the best of Bollywood to fans all over the world. We are thrilled to team up with Twitter and provide users around the world never before seen glimpses from the event and behind the scenes peek to one of the most prestigious awards in the film industry.The idea is to enhance the digital footprint of the Filmfare brand with this first of a kind partnership for any awards property in India,” says Deepak Lamba, CEO, Worldwide Media that owns Filmfare. This unprecedented new partnership has the potential to pave the way for more such partnerships in future for Twitter.